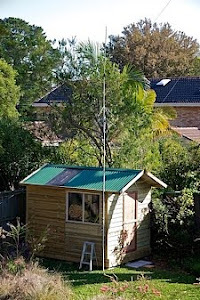 My favourite digital modes are PSK31 and WSPR, both on 20m, but there are a large number of other modes. Recently tuning around I saw the mode pictured on the right but despite reviewing some excellent sites that show all the modes and provide both images of the waterfall and audio recordings I was unable to decode the signal using fldigi. Machine learning has improved enormously in the past few years and the ability of trained models to recognise new images as being things like a cat or sunset are amazing. It might be possible to train a neural network with a collection of screen shots from the waterfall of each digital mode so that a new screen shot could be automatically identified. An internet search for some existing software that does this turned up something that looked hopeful - a windows application called Artemis: Free Signal Identification Software, but (after navigating through a truely evil free hosting Windows malware attempt) the downloaded utility is just a GUI for searching the collection of waterfall images so that the user must decide. Google has open sourced TensorFlow which is a system which can be trained with sample images and then when given a new image will classify it for you. They ship a pre-trained model called Inception v3 that has been trained with 1,000 different classes of images from ImageNet. There is a really excellent introductory tutorial called "TensorFlow for Poets" that I followed. The tutorial shows how to re-train this model with additional flowers that it doesn't know including daisy, dandelion, roses, sunflowers and tulips. 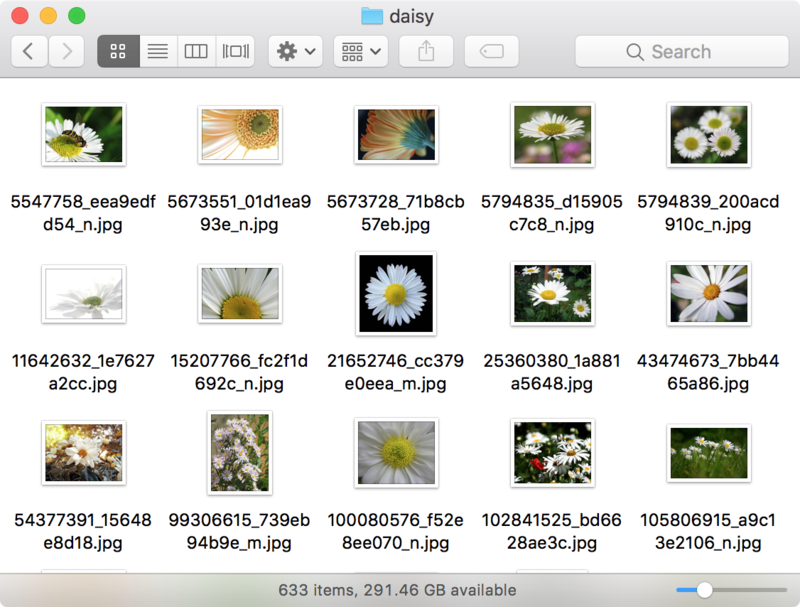 Here's some of the sample daisy images. Thanks to docker, it's very easy to get TensorFlow running. 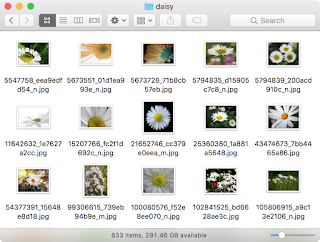 The sample images are in a directory that is mounted as a volume in the docker container. 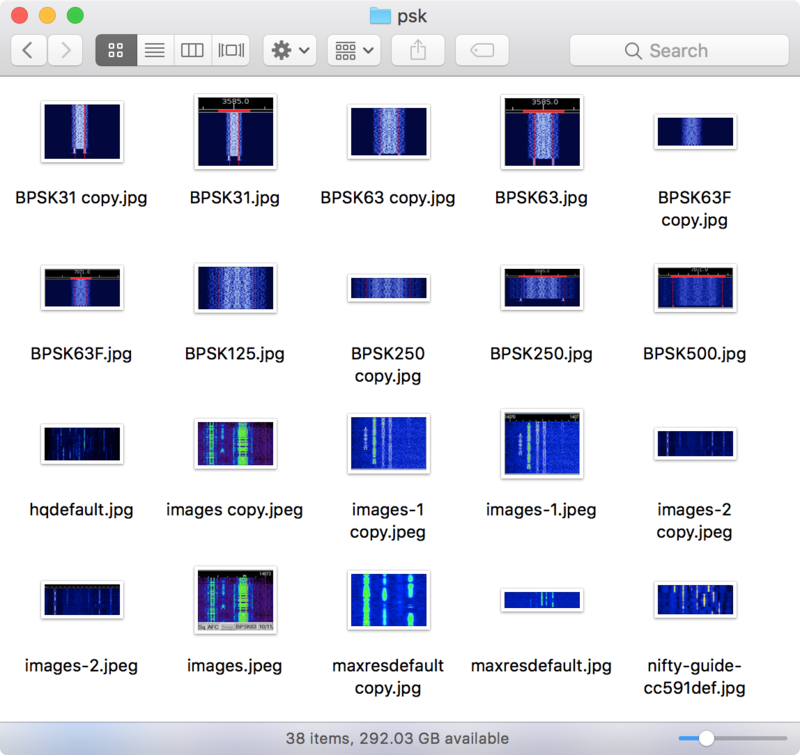 After getting all this to work - and very reliably recognise flowers, I captured and hunted down sample images of two digital modes, BPSK and RTTY. I chose these two because they are common and also rather similar to the eye. 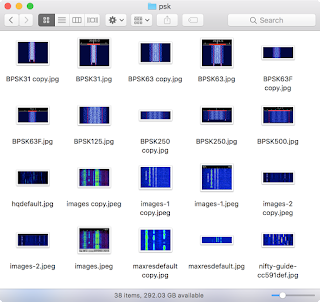 Here's some of my psk sample images. One trap to note is that you do need a decent number of sample images, 30 - 40 or more or you'll get this mysterious error during training. CRITICAL:tensorflow:Label rtty has no images in the category validation. In the end I got past this by simply duplicating my sample images which of course doesn't help improve recognition but gets past the fatal error. It is quite hard to find 40 sample images of a digital mode. As a first test I fed the system two images which were part of the training images. 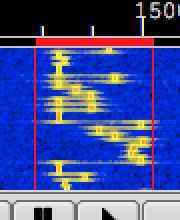 As can be seen here it distinguish between PSK and RTTY with certainty. Here I gave it a freshly captured PSK31 signal, one that was not in the training images. As expected, not quite as sure but still very good. I think there is a good prospect of using machine learning image recognition for guessing digital modes. Ideally this would be built in to clients but it might make a good app (using the phone camera to capture the unidentified signal) or a web site where you upload a screen shot. The main thing I need to expand this is lots of sample waterfall images. There's some interesting discussion in a thread in the Reddit amateur radio subreddit. 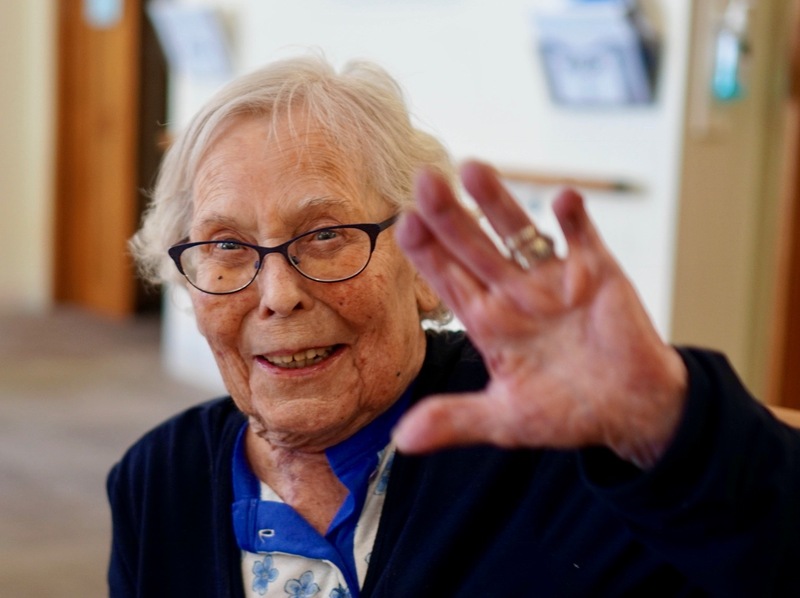 Sadly, my dear Aunt Peg died on Tuesday. 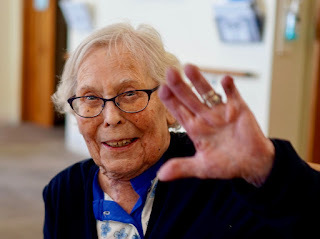 She had a long career as a performer in radio plays mostly on ABC radio. I saw her on Saturday and she was alert and very funny as always. Here she is in an interview with Beverley Dunn. Here she is in a radio play "East Lynne" episode 7, as always she played a young boy. (About 2:30 in s/he appears as Bobby). 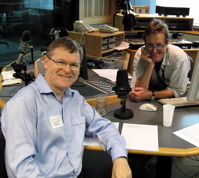 I've just celebrated ten years as a commentator on ABC RN Breakfast. That's nothing compared to the length of Peggy's career. On Saturday we talked about the excitement of doing live radio. 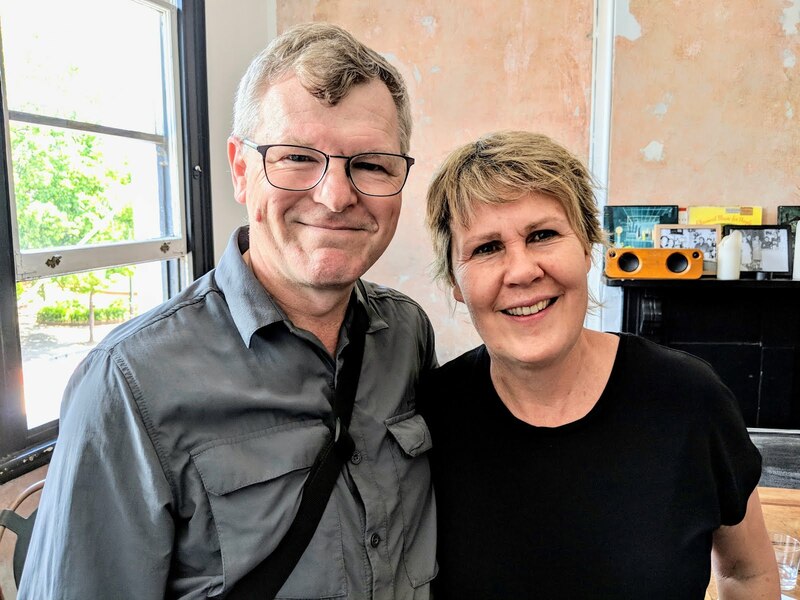 Next Saturday at noon ABC Local Radio will air this tribute edited from the audio on DAB+ and streaming as part of Editor's Choice. Thanks James O'Brien for a lovely job. My thanks to the wonderful National Film and Sound Archive who helped me find performances by Peg a few years ago. She was amazed that some had survived. Summary: The story of the Markham family set around family house ‘Four Winds’. The story centres around Gilbert Markham, his four children and his second wife, Anne. Contributors: Madge Thomas (SCR), Broadcast Exchange of Australia (PDC), Grace Gibson Radio Productions (DSR), Athol Reilly (PDR). 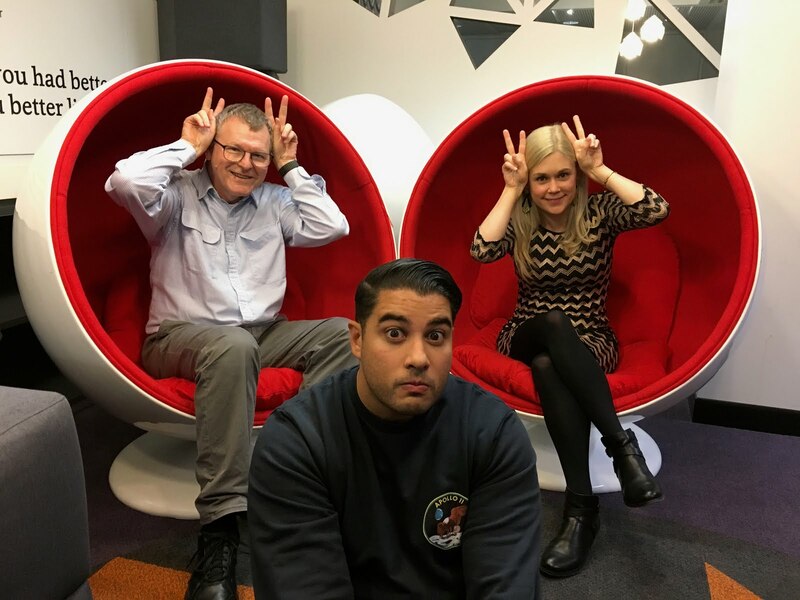 Broadcast details: Broadcast nationally in Australia over the Major Network, and in New Zealand over the New Zealand Broadcasting Corporation. Notes: Sequel to ‘Stepmother’ and is followed by ‘The Markhams of Four Winds’. Summary: Adaptation of Mrs Henry Wood’s early Victorian novel of romance and intrigue. Contributors: Mrs Henry Wood (AUT), Marcus Clark, McDowell’s Ltd (SPO), George Matthews (PDR). Cast: Queenie Ashton (Lady Isobel), Harvey Adams (Archibald Carlyle), Lola Kelly (Barbara Hare), Leonard Bennet (Lord Mount Severn), Ronald Morse (Francis Levison), Nellie Ferguson (Cornelia Carlyle), Margaret Johnson (Emily), Peggy Marks. References: ‘Once upon a wireless’ oral history interview. Summary: Cheerful story which approaches the problems and pleasures of everyday life about the Grant family. Lavender Grove is a pleasant tree-lined street in a better-than-average suburb. Contributors: Warren Glasser (PDR), Rae Clye (SCR). Cast: John Bhore, Robert Peach, Peggy Marks, Mary Ward, Beverley Dunn, Monty Maizels, Bettine Kauffman. Broadcast details: 1955-1960 ; Major Network. 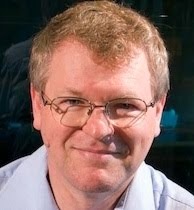 References: ‘Once upon a wireless’ oral history interview with Monty Maizels. Summary: Radio serial based on the children’s novel, Pollyanna. Contributors: John Hickling (SCR). Cast: Ngaire Thompson, Peggy Marks. Contributors: Madge Thomas (SCR), Broadcast Exchange (PDC). Notes: Final series in the Markham family saga. Other include ‘Stepmother’, ‘Delia of Four Winds’, ‘Markhams of Four Winds’, ‘Markhams’ and ‘His Heritage’. Seems to be a program called "once upon a wireless"